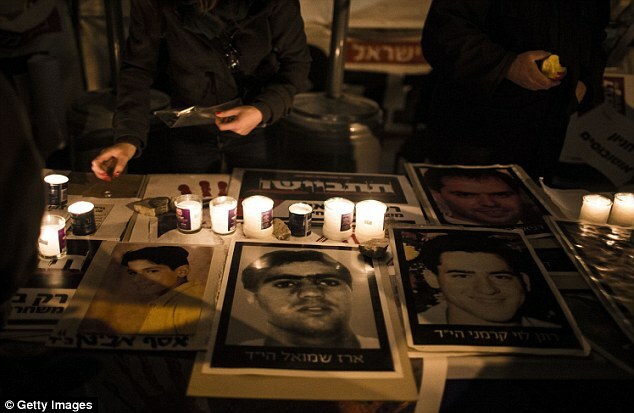 Israel released more than two dozen Palestinian prisoners convicted in deadly attacks against Israelis as part of a package to restart Mideast peace talks. 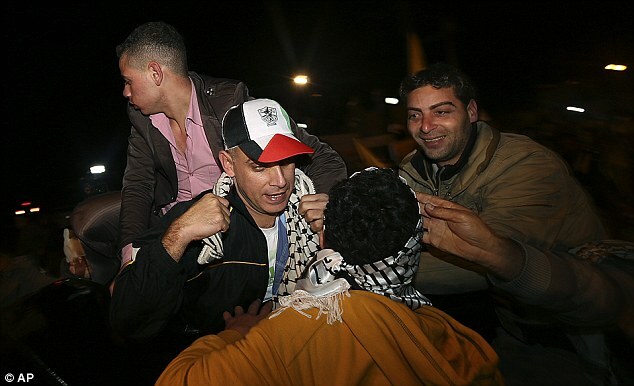 After leaving on buses from Israeli jails overnight, the prisoners received hero’s welcomes on their return to the West Bank and Gaza with officials and jubilant relatives lining up to greet them. 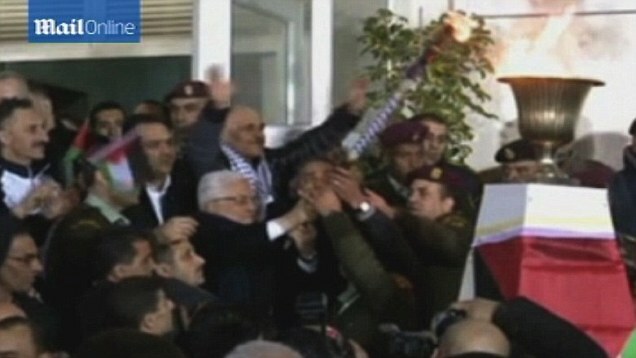 At his headquarters in Ramallah, Palestinian President Mahmoud Abbas waited to meet the men in the middle of the night. 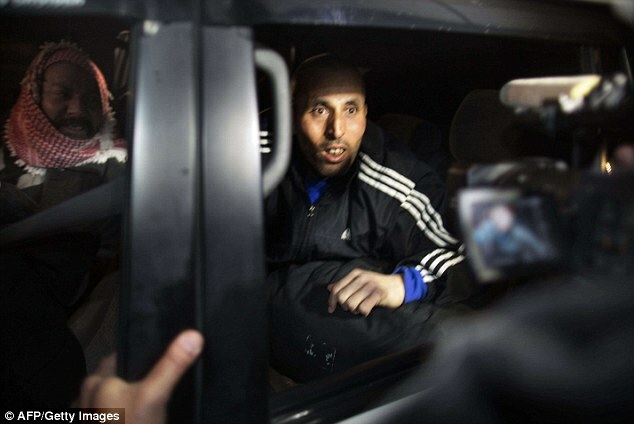 He pledged to continue pressing for the release of long-serving and ill prisoners. 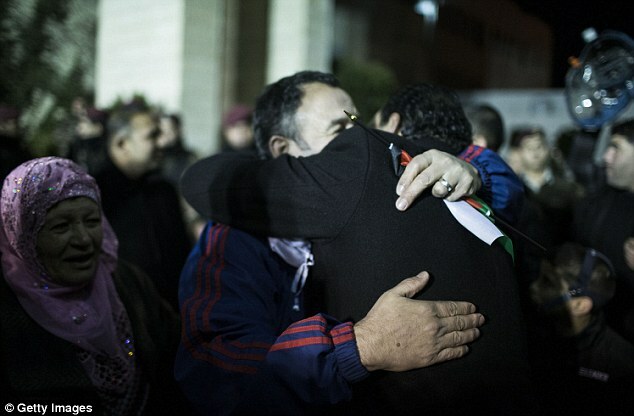 ‘We will not sign a final peace deal with Israel before all the prisoners are released,’ he said. 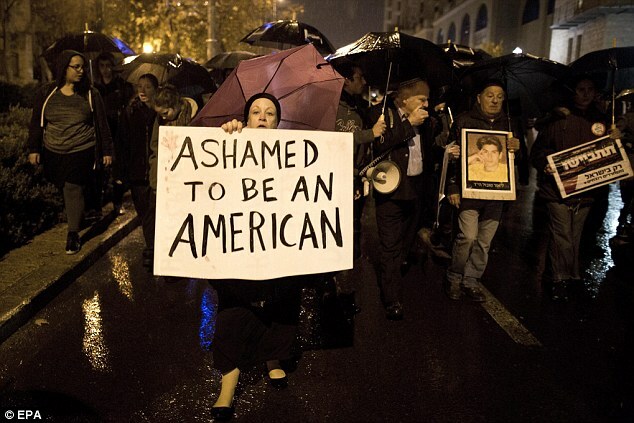 In Israel, though, the release was accompanied by anger and frustration with Prime Minister Benjamin Netanyahu facing a public uproar over the move. With Netanyahu expected to accompany the releases with plans to build hundreds of new homes in Jewish settlements, the criticism came from some unlikely quarters. Supporters of peace talks said the expected construction would destroy any goodwill created by the prisoner release, while hard-line allies criticised Netanyahu for linking the Jewish settlement cause with the release of prisoners convicted in connection with killings, mostly of Israelis. Under a formula drawn up by US Secretary of State John Kerry, Israel agreed last summer to release a total of 104 long-serving Palestinian prisoners in order to restart peace talks with the Palestinians. In exchange, the Palestinians dropped their demand for Israel to halt construction of homes in the West Bank and east Jerusalem, areas captured by Israel in 1967 that they claim for their future state. 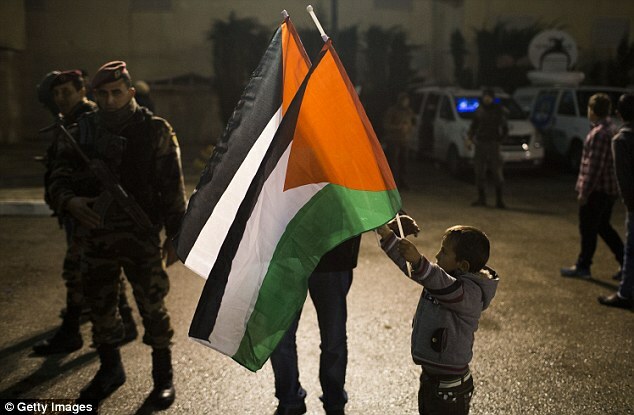 The Palestinians say they have received vague assurances that Israel would show restraint while the talks continue until an April target date for an agreement. The latest prisoner release is the third of four planned stages. 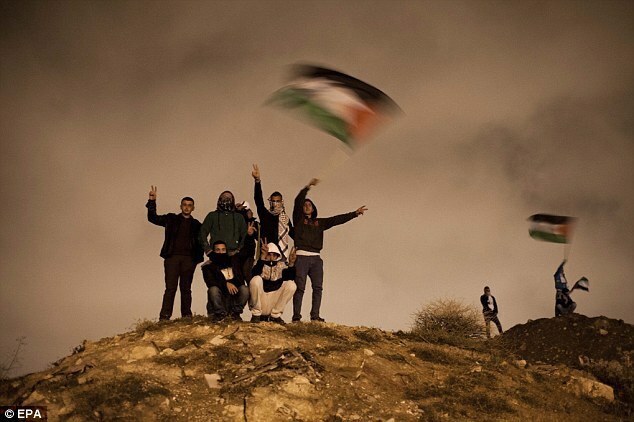 The release was carried out by Israel overnight to avoid the larger spectacle of having to witness the celebrations over the killers’ freedom. All 26 of the men have been convicted in deadly attacks, and have spent between 19 and 28 years in prison. 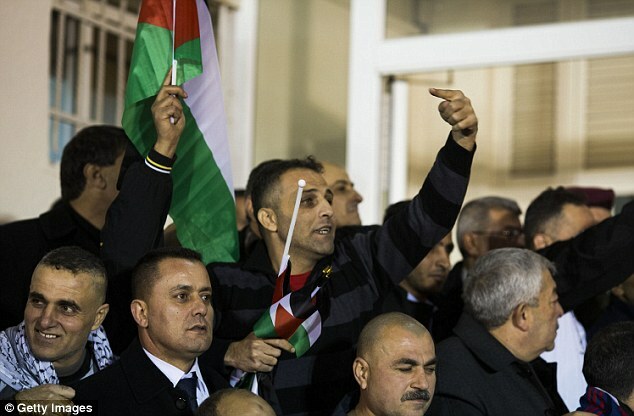 They included 18 men from the West Bank, three Gazans, and in a concession by Israel, five men from east Jerusalem. Israel considers east Jerusalem to be part of its capital and has previously balked at allowing the Palestinians to negotiate on behalf of prisoners living in what it considers to be Israeli territory. Israel’s annexation of east Jerusalem is not internationally recognised, and the vast majority of Arab residents in the area hold residency rights but are not Israeli citizens. 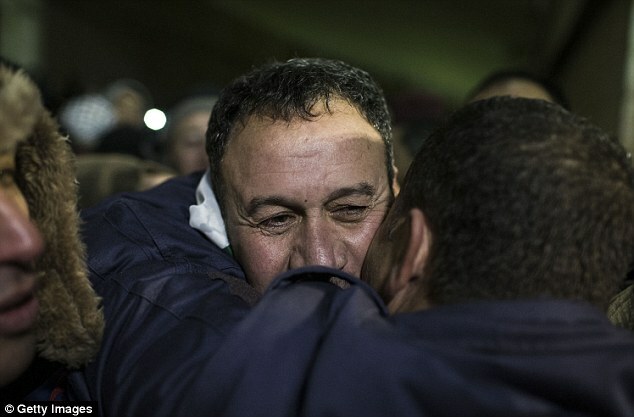 The coming releases generated excitement throughout Palestinian society, where prisoners held by Israel are revered as heroes and freedom fighters. Families decorated their homes and neighborhoods with posters of their loved ones who were returning home and planned large feasts. 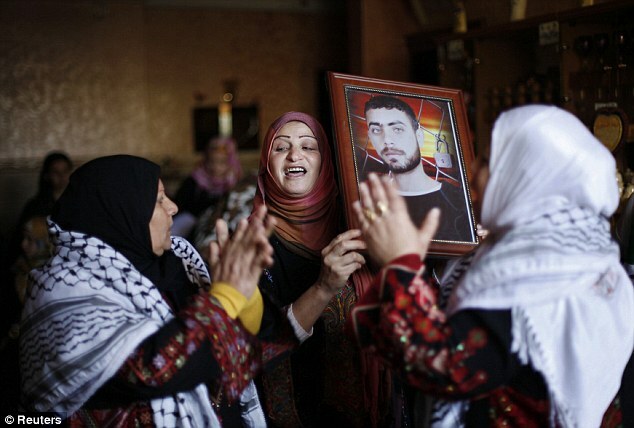 The family of Ahmed Shihadeh was busy preparing a welcoming celebration in the Qalandia refugee camp in the West Bank. 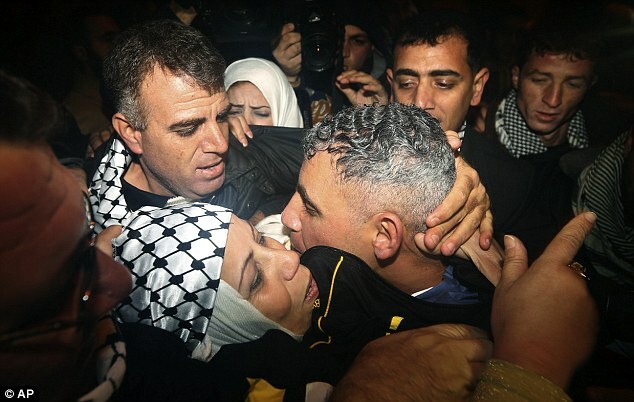 Shihadeh, 51, has spent nearly 29 years in prison after being convicted in the murder of an alleged collaborator with Israel. His mother Haseba, 75, said she has ‘spent my life’ visiting her son, but hasn’t been able to make the trip for the past two years because she can no longer walk. ‘I’ve visited him in 14 jails. I would leave my kids screaming and go for a visit,’ she said. 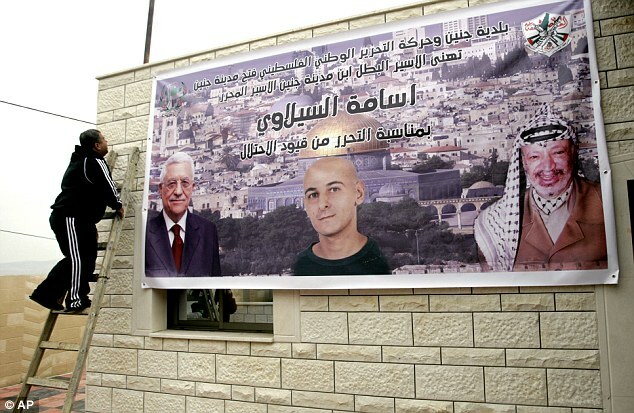 In the east Jerusalem neighborhood of Jabal al-Mukaber, the sound of kettle drums filled the air as residents braced for the return of Jamal Abu Jamal, who has spent nearly 20 years in prison for a stabbing attack. 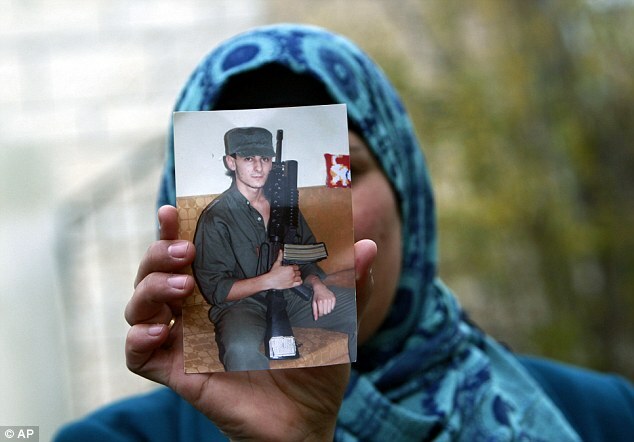 Women holding Abu Jamal’s picture sang and danced in circles and praised Palestinian President Mahmoud Abbas for securing his release. 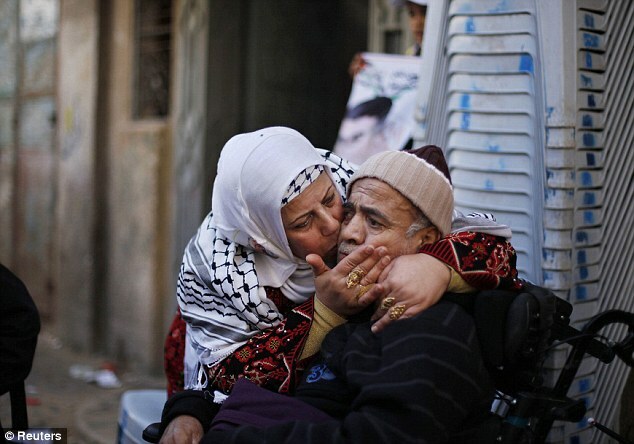 His mother Rayouf, 77, who is unable to speak after suffering two strokes, sat in a chair with tears in her eyes. 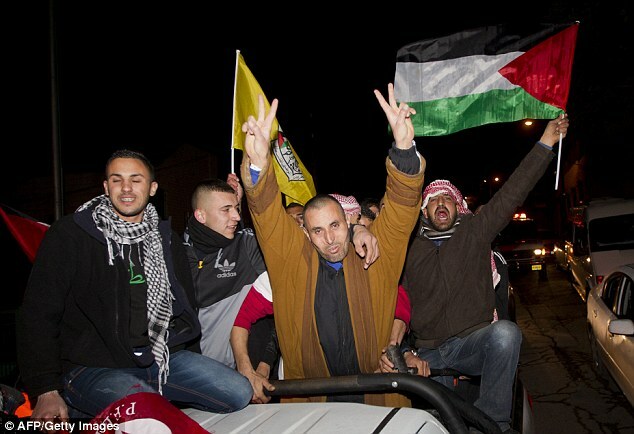 Israeli opponents of the prisoner release have staged days of protests against the releases. A group representing the families appealed to the Supreme Court to block the release. It was rejected late on Monday, allowing the releases to continue. Netanyahu is expected to approve plans to build 1,400 new homes in both the West Bank and east Jerusalem in the coming days. The Palestinians say such construction undermines peace efforts, and have appealed to the US to block the expected announcement. The US and the European Union have harshly criticised settlement announcements during the current round of negotiations, with US Secretary of State John Kerry at one point questioning Israel’s commitment to peace. 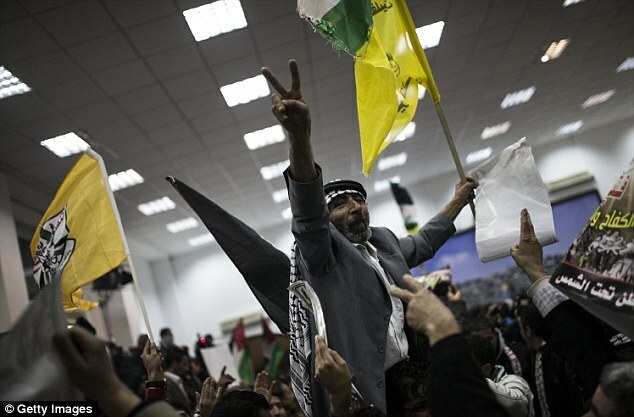 Kerry is expected back in the region this week in another effort to breathe life into the negotiations. But Netanyahu indicated he would not back down. ‘In these negotiations we are faced with our essential interests, including guaranteeing the settlements in the land of Israel,’ he said. Netanyahu’s decision to press forward with settlement construction at such a sensitive time has drawn criticism from all directions. 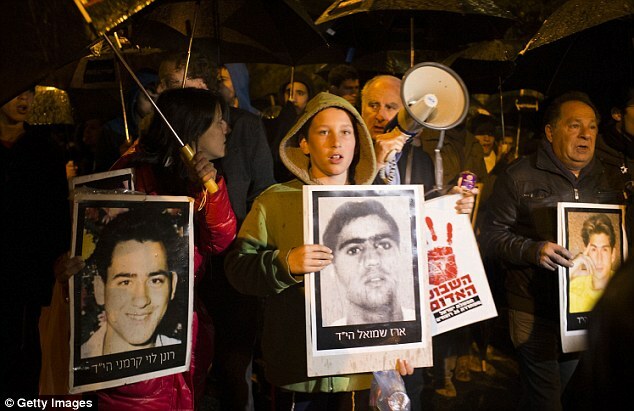 Amir Peretz, a cabinet minister with the ‘Movement’ party, said the painful sight of watching convicted killers walk free could have been avoided had Netanyahu agreed to freeze settlement construction. ‘I would have preferred to freeze settlement building rather than releasing prisoners but at this point we must allow this stage to move forward, we must not do anything to prevent it,’ he said. Settler leader Dani Dayan, on the other hand, said the timing of a new settlement announcement looked bad. ‘The linkage between the release of convicted terrorists and the construction in Jerusalem and in Judea and Samaria puts an unnecessary stain on the construction,’ he said. The ‘original sin,’ he added, was agreeing to release any prisoners in the first place. ‘Israel should have rejected the notion that it has to pay a price for negotiations,’ he said. In another move that could upset peace efforts, a committee of Israeli cabinet ministers approved a bill Sunday that would annex a section of the West Bank near the Jordanian border to Israel. 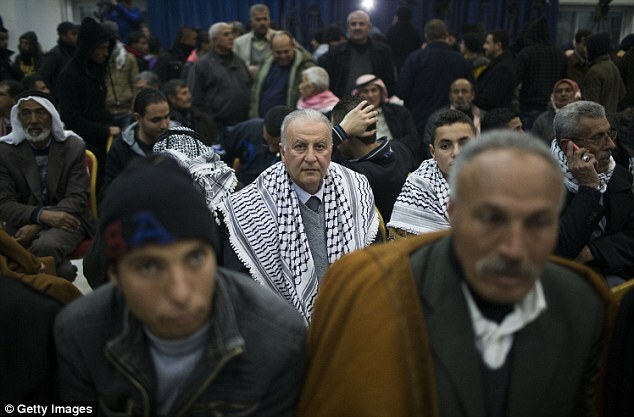 Netanyahu has said Israel must maintain a presence in the area, known as the Jordan Valley, as a security measure. Even so, it appears unlikely the bill, supported by hard-line lawmakers unhappy with peace efforts, will receive parliamentary approval. 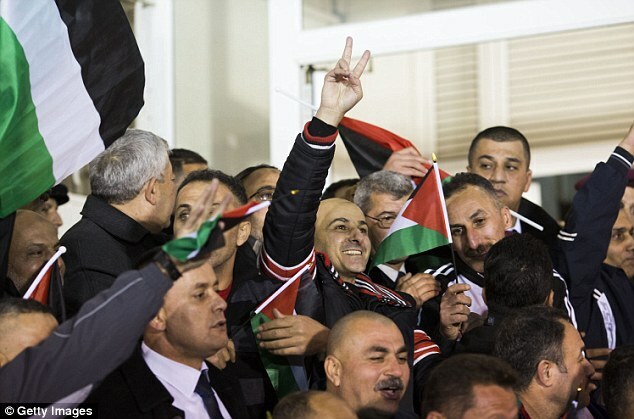 Speaking in Ramallah, Abbas rejected the move. 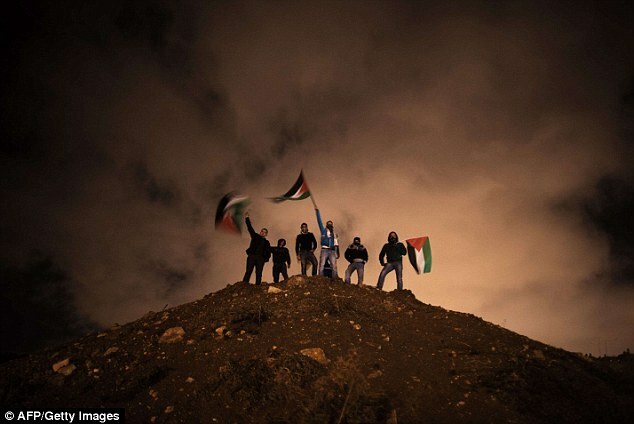 ‘This is Palestinian land and we will not let them do it,’ he said. 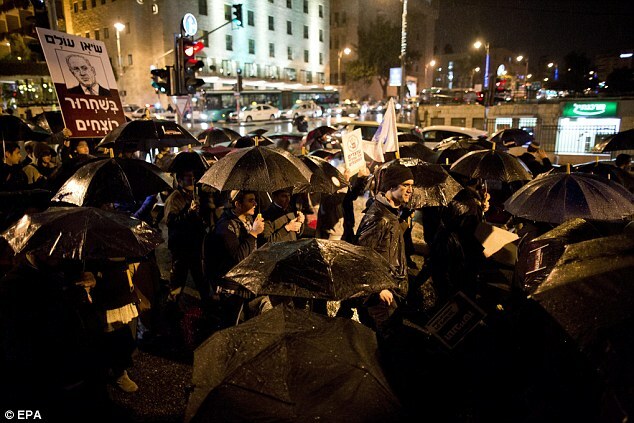 Israeli commentators questioned Netanyahu’s judgment in pushing forward with more settlements.